In September the seasonally adjusted annual rate of home sales in Queens jumped to the highest year-over-year increase since January 2013, as many buyers made the effort to lock in rates before they rise any further. 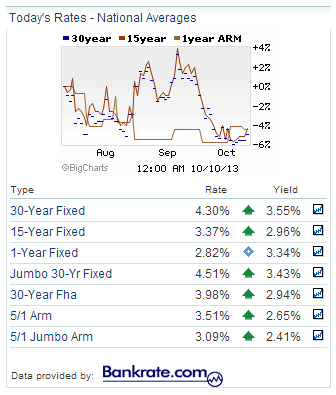 While rates have ticked down due to the Federal Reserve’s announcement that it would not taper its unconventional asset purchases in September, rates are still likely to slowly rise through the end of the year. Prospective buyers should take advantage of what is still a historically high level of affordability in the housing market before it diminishes. With inventory remaining tight in many areas around Queens, potential home sellers are still well- positioned to take advantage of the many buyers looking for opportunities in Queens. *Month’s supply over 6 months is said to favor buyers, supply below 6 months is said to favor sellers, and supply ove 5-6 months is said to be a balanced market. Existing home sales were down 5.5% from August, but the 796 home sales in September represents a 28.6% increase over the same month last year and represents the sixth consecutive month of year-over-year increases. The recent spike in the rate of home sales is likely tied to the rise in interest rates in previous months, which caused buyers concerned about rising rates to get off the sidelines and lock in. 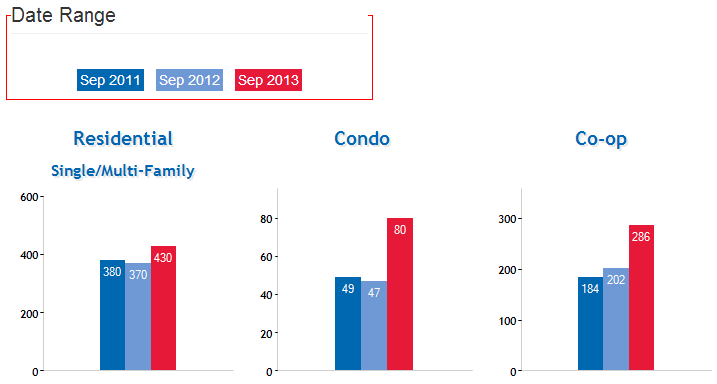 Residential home sales were up 16.2%, Condo sales were up 70.2%, and Coop sales were up 41.6% year-over-year. A sign that the increase in sales was evident in all property types. In September the median existing home price dipped slightly from the previous month to $374,000. 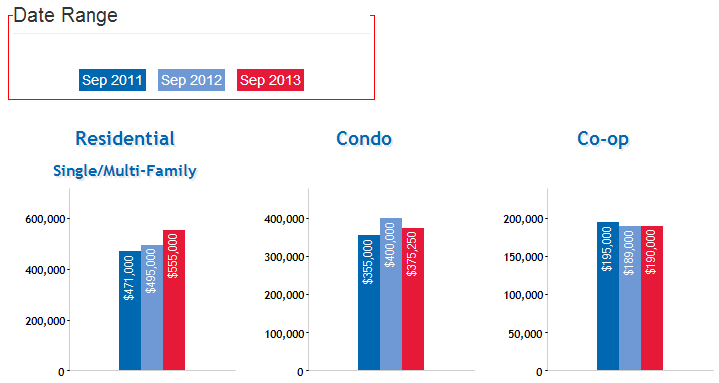 Median price was down only 1.6% from August and was only down .3% from last September. Home prices typically dip later in the year, so the current month- to- month trend is not concerning. However, the year-over-year rises in home prices bode well and will continue to help boost more Queens’ homeowners out of negative equity positions. The number of homes available for sale in September decreased again so we are still having a hard time keeping up with the jump in buyer activity. This brought months’ supply of inventory, which takes into account inventory levels and sales rates, down 4.9% from last month to a current supply of 7.7 months of inventory.